The Space Test Program – Houston 5 payload belongs to a NASA/DoD program dedicated to flying small payloads loaded with different technical demonstrations & observation payloads to space to further the development, evaluation and advancement of new technologies for the future of spaceflight. A number of STP payloads have already been flown in the past including Department of Defense, university and NASA experiments. 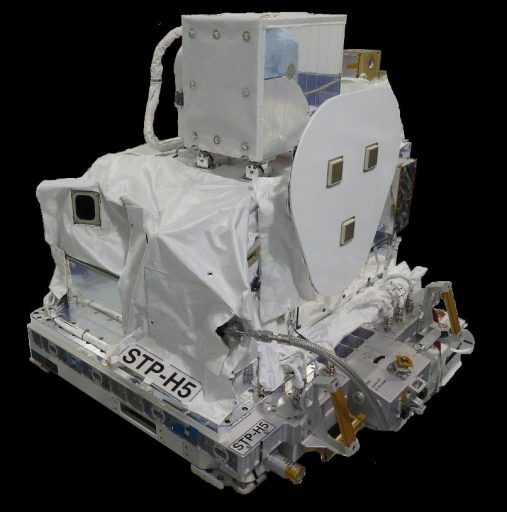 The STP-H5 pallet hosts thirteen experimental payloads including a Lightning Imaging Telescope, hybrid space-based computer technology, a structural health monitoring investigation, an Electro-Hydro Dynamic thermal fluid pump, a FPS (Fabry-Perot Spectrometer) for atmospheric methane measurement, an Innovative Coatings Experiment, and a testbed for future in-space navigation. STP-H5 will be robotically installed to Express Logistics Carrier 1 for a mission of at least two years in a position that provides proper Earth-monitoring geometry for observation instruments and appropriate space environment exposure for other payloads. The Lightning Imaging Sensor (LIS) will measure the frequency and energy of lighting strikes around the world to provide data valuable for weather prediction, climate research, atmospheric chemistry / physics and flight safety for air- and spacecraft. Previous NASA missions showed that lightning flashes somewhere on the planet around 45 times per second and the STP-H5-Lightning Imaging Sensor will continue the important observation of lightning around the world with particular focus on the amount, rate and energy of lightning strikes. An identical LIS instrument was flown on the Tropical Rainfall Measuring Mission (TRMM) that operated from 1997 to 2015 and collected a long-term record of global lightning activity. Global lightning information is needed in a number of areas including weather, climate, atmospheric chemistry and lightning physics. The LIS instrument will continue TRMM’s record and extends coverage into the mid-latitudes while also enabling real-time data relay to operational users. Additionally, LIS will be used for cross-sensor calibration with a number of other lightning-mappers including the Geostationary Lightning Mapper on the GOES-R series satellites in Geostationary Orbit. The original LIS instrument was designed in the 1990s by the Marshall Spaceflight Center, the University of Alabama and various industry partners. 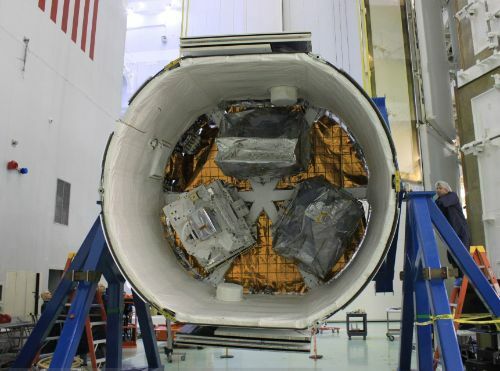 STP-H5-LIS represents the flight spare from TRMM that was kept in environmentally controlled storage since 1998 and showed nominal performance when being tested in 2015. A factor in choosing the existing LIS (in addition to cost reduction by flying existing hardware) was the desire to obtain measurements that are perfectly compatible with those from TRMM to seamlessly continue that mission’s record. 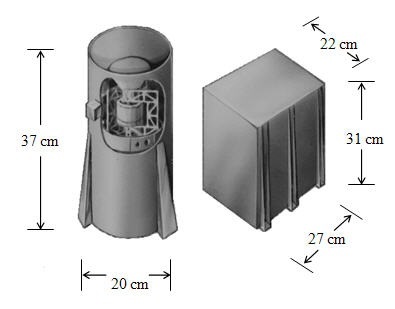 LIS comprises a cylindrical sensor assembly, 20 by 37 cm in size, and an electronics assembly (31 by 22 by 27cm) with a total instrument mass of 20 Kilograms. 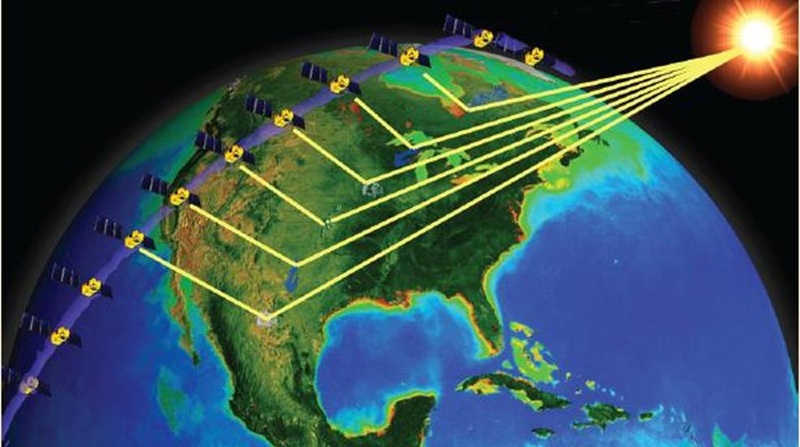 The core of the instrument is a solid state imaging system that registers occurrences of lightning and submits data to a real time signal processor and background remover with formatting completed in real time to generate data products including the location, time, and radiant energy of lightning events. LIS employs a narrowband filter system that selects the infrared band at a center wavelength of 777.4 nanometers and a bandpass of one nanometer – tuned to the oxygen triplet line very prominent in the lightning spectrum. The instrument has a field of view of 80 by 80 Kilometers and achieves a spatial accuracy of one pixel, translating to a ground resolution of 4 Kilometers. Translating the high spatial accuracy into a precise lightning location on the globe requires auxiliary data provided by a Star Tracker that is part of the STP-H5 payload and keeps track of instrument pointing, allowing precise location determination through data processing on the ground. 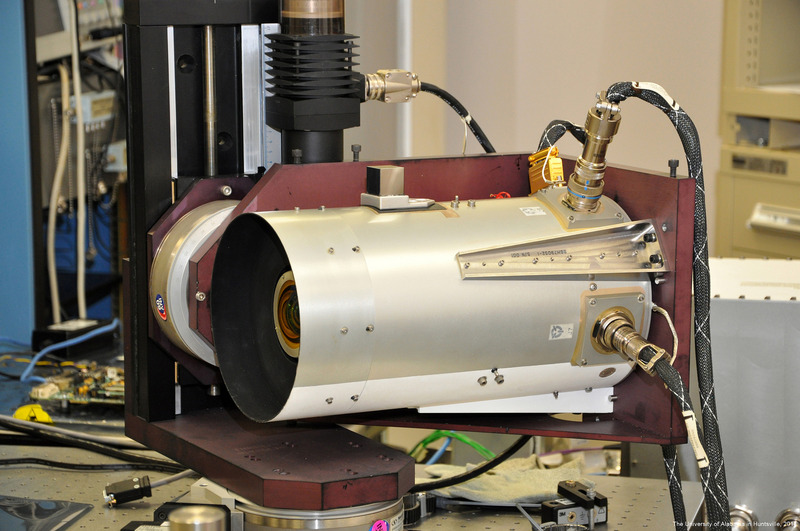 LIS employs a 128 by 128 CCD array as detector, operated at a frame rate of 500 per second. The optical system of the instrument comprises a wide field-of-view lens, combined with a narrow-band interference filter. Raw frames are processed by the a real time processing system that is capable of identifying lightning signals whenever a selected signal difference threshold between frames is detected. The system can correctly identify more than 90% of lightning events with false alarms kept below 5% of total measured events. The Real Time Event Processor compares the value of each detector pixel to a stored background that represents an average of the recent history of that pixel. If the read-out from a pixel exceeds a selectable threshold, an event is triggered. The background is a moving average with an adjustable time constant that determines over how many recent images the average is built. The STP-H5 Structural Health Monitoring (SHM) experiment collects data on how fasteners, different glues and mechanical parts fare in an operational spaceflight environment from the assembly, testing and arrival in orbit through two to four years of exposure to the challenging space environment. Hardware deployed to space has to withstand intense vibration during launch and extreme temperature changes once in space. Although extensive pre-flight simulations are performed, there is strong desire to collect hard data on how different components behave in the actual space environment to improve spacecraft structures for longer and longer mission durations. Collecting data on the degradation of different mechanical parts will lead to critical knowledge on how equipment fails – from bolts jostled loose by vibration, debris impacts to structure and long-term degradation of chemical glues. SHM also acts as a demonstration for possible operational deployment in the future to help engineers better diagnose spacecraft issues. 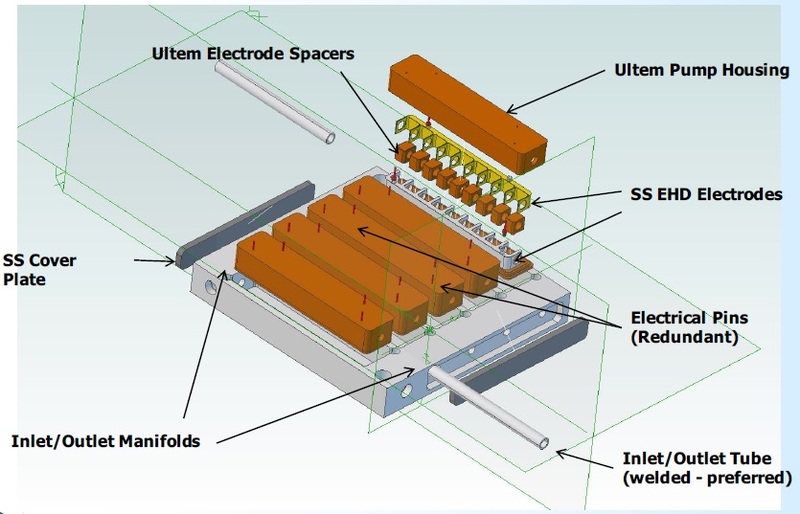 SHM makes use of a series of piezoelectric wafer active sensors (PWAS) to measure mechanical displacement of components and tension within loaded plates. PWAS send ultrasonic waves through the entire H5 structure and signatures obtained over a long period of time will document changes undergone by the hardware. Three-axis accelerometers will be used to monitor low level dynamics of the payload at its mounting position on ISS. Like its predecessor Houston 4, the STP-H5 payload hosts a series of in-space-computing systems to gather data on the performance of advanced processors in the space environment. However, unlike the previous mission, H5 will rely on some of the advanced avionics equipment for day to day operations and data handling. 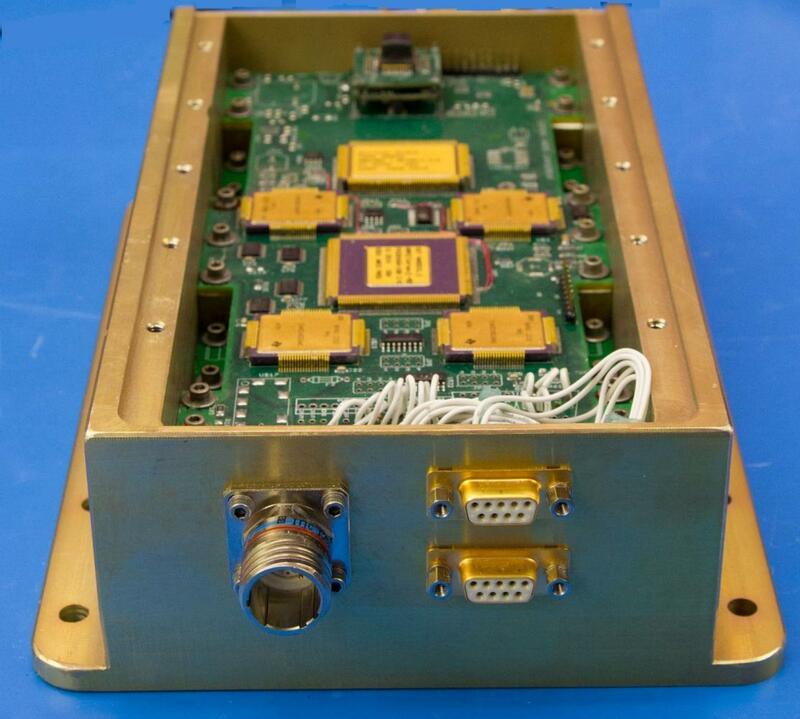 Validation of new processing technology is one of the most critical areas currently faced in the field of space technology given the rapid advancement of space-based instruments that require more and more processing power from highly reliable processor units. 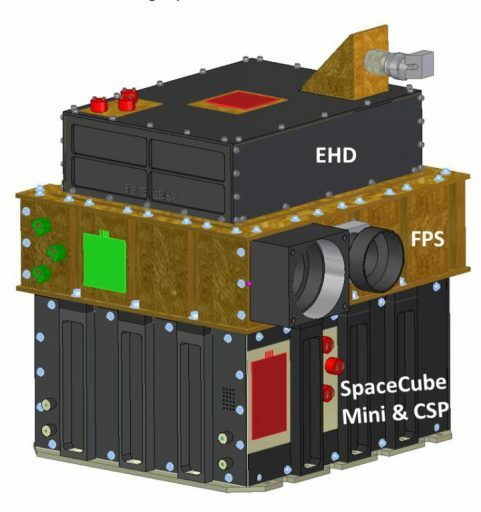 The STP-H5 ISEM (ISS SpaceCube Experiment Mini) will provide validation for hybrid-processing technology to advance that technology’s mission readiness level for future application on small satellites with limited volume for computer equipment. At present, the fastest consumer PCs have around 600 times the processing power than the most powerful flight computer used by NASA missions such as the Curiosity Mars Rover, the Juno spacecraft traveling to Jupiter, the Mars Reconnaissance Orbiter, and even the core computers of the International Space Station, This is due to the fact that radiation-hardened processors are usually a decade behind current consumer systems. In recent years, a shift has led from ‘radiation hardened systems’ to ‘radiation tolerant technology,’ that is technology which is susceptible to radiation-induced upsets but not radiation-induced destructive failures. Employing such systems can yield to a ten- to hundredfold increase in processing power at the cost of some science data due to occasional radiation related upsets that simply have to be tolerated. 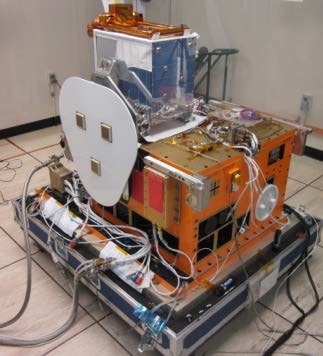 The first generation of SpaceCube Processing Systems was flown in 2009 and again in 2014 on STP-H4 and is now considered flight-ready, allowing STP-H5 to use SpaceCube1.0 as primary data handling system for the majority of its payloads. 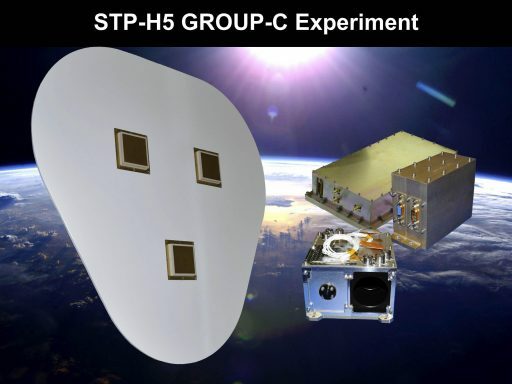 Additionally, STP-H5 hosts the improved SpaceCube 2.0 and SpaceCube Mini for continued in-orbit validation on a path to future flight use. The v1.0 version has around ten times the processing power of the RAD750 OBC at half the power consumption; v2.0 has twenty times the processing power and requires 75% of RAD’s electrical power. SpaceCube Mini was designed to similar specifications as v2.0 but in a 1U CubeSat form factor – fitting into a 10 x 10 x 10-centimeter volume. Its core is a multifaceted, hybrid space computer known as CSP, CHREC Space Processor. CSP combines fixed and reconfigurable CPU and FPGA processing functions using an algorithm that optimizes the use of the specialized resources of the device. A combination of commercial-off-the-shelf and radiation hardened systems creates a processing system with significant processor power and reliability in challenging space environments. 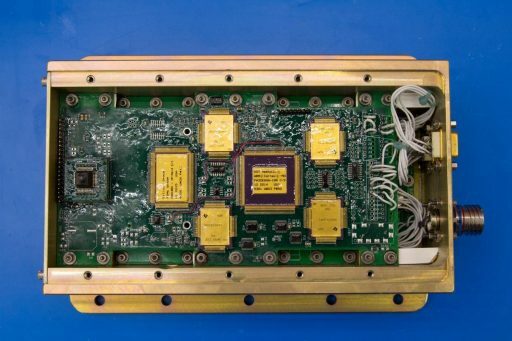 The system has been conceptualized to allow every Printed Circuit Board to be replaced with its radiation-hardened equivalent – creating a spectrum of combinations to scale the cost and reliability to different mission requirements. 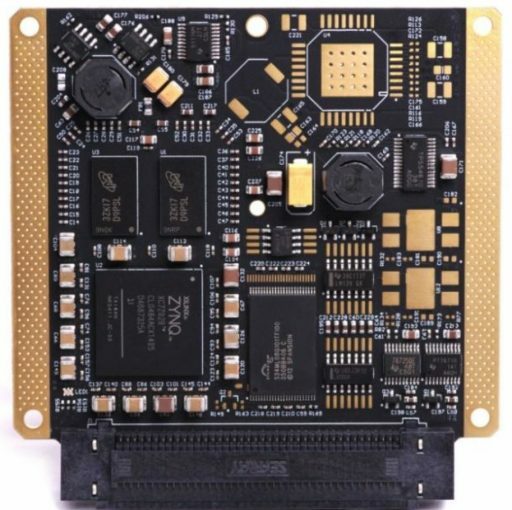 The FPGA portion of the system can support 60 high-speed data in/output connections while the CPU-driven part can support 26 connections using different communication standards including UART and I²C. The processors are facilitated on a central circuit board along with up to 1GB of DDR3 RAM and 4GB of flash memory plus a watchdog/re-set system. 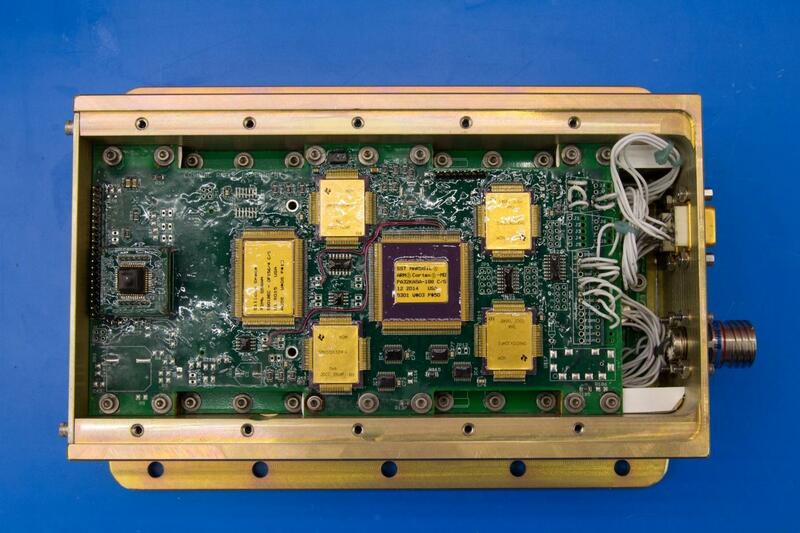 All systems on the CSPv1 board are either radiation hardened or able to recover from radiation effects to ensure the critical core system stays up and running to support mission tasks. 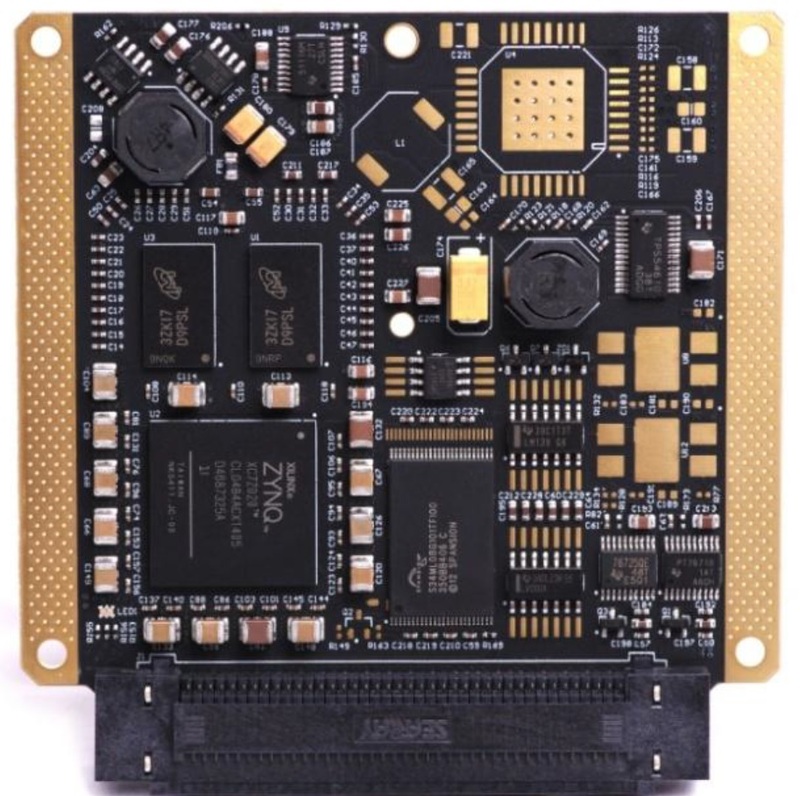 In total, the CSP module holds four circuit boards, two versions of the CSPv1, a power and data interface board and a custom backplane that interconnects the boards. The two CSPv1 boards operate in a master-slave configuration with CSP0 receiving all tasks and forwarding a subset to CSP1 when necessary. SpaceCube Mini interfaces with a 5 Megapixel Camera using a Camera Link FPGA core to demonstrate image processing functions such as noise- reduction, enhancement, compression and transmission. 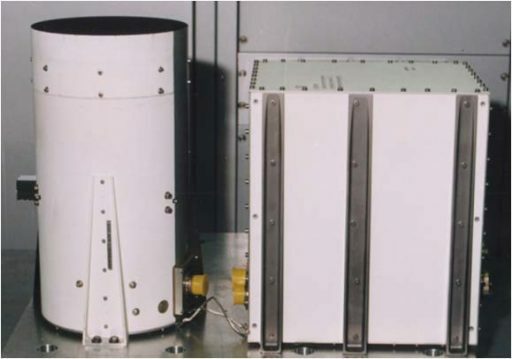 It is also connected to other payloads on STP-H5 to complete data handling functions, however, all other payloads also interface with an operational v1.0 SpaceCube for redundancy. 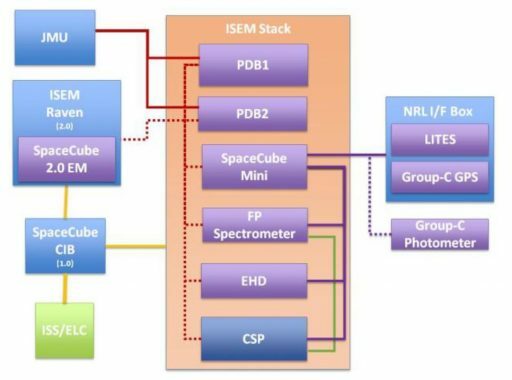 The primary objective of SpaceCube Mini is to advance the Technology Readiness Level of the Xilinx Zynq SoC processors and monitor the upset rates of the L1/L2 processor caches in the LEO radiation environment. Secondary objectives include demonstrations of autonomous computing, software-defined reconfigurations, and partial recovery. The Electro-Hydro Dynamics (EHD) payload on the STP-H5 pallet demonstrates a fluid pump driven by electric fields, eliminating fragile, failure-prone mechanical components and reducing weight. 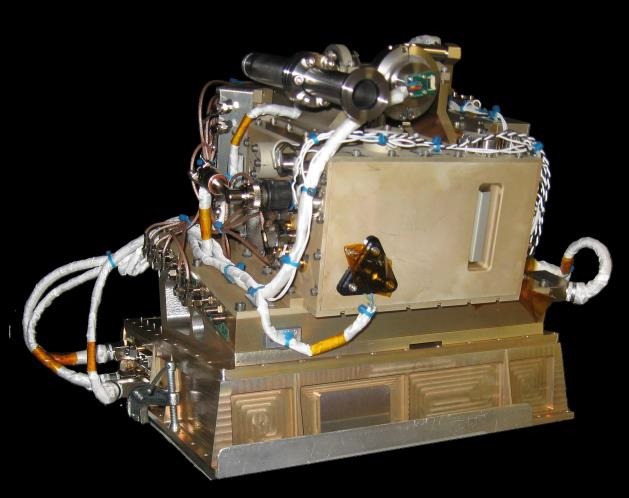 Spacecraft and many scientific instruments rely on a fluid cooling system in which coolant is transported through radiators to expel heat generated by onboard systems such as electronics. Currently, most systems use mechanical pumps that can fail during the intense vibration of launch and are prone to degradation over long periods of operation. EHD employs an electric field to pump coolant through a thermal cold plate from where excess head is dumped onto a radiator. Mechanical parts are replaced by electrodes that deliver the voltage needed to move the coolant. Applying a high-intensity field to a fluid causes molecules to dissociate into ions which then redistribute due to the present electric field – forming heterochange layers. Fluid motion is induced by electrodes that generate asymmetrical electric fields. This design enables a unique scalability by varying the size of the cold plates from lab-on-a-chip devices to application on large satellites. The EHD payload employs five pumps, operating in parallel, each with an operating voltage of 1000V to achieve a flow rate of 0.5 grams per second that will be measured by a thermal mass flow sensor and seven thermocouples. The EHD demonstration has the primary objective of verifying that the design can withstand the launch environment and can be operationally used in orbit. 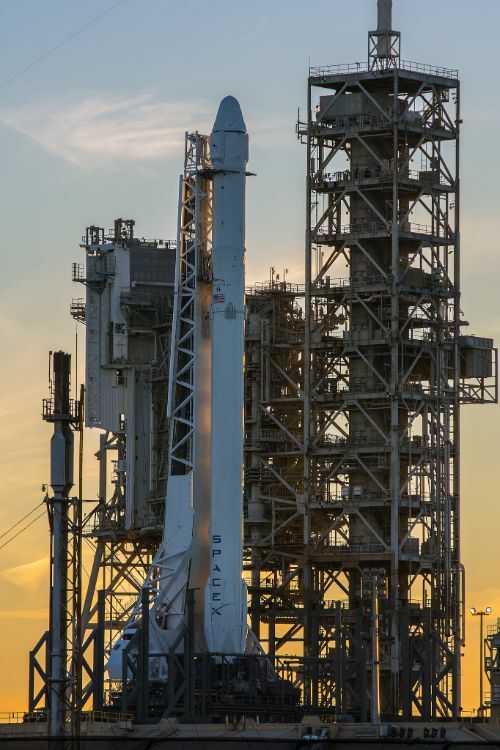 Long-term operation is a secondary goal to advance the technology readiness level of what is hoped to become the future of satellite thermal control. Photo: University of New Mexico COSMIAC Research Center. 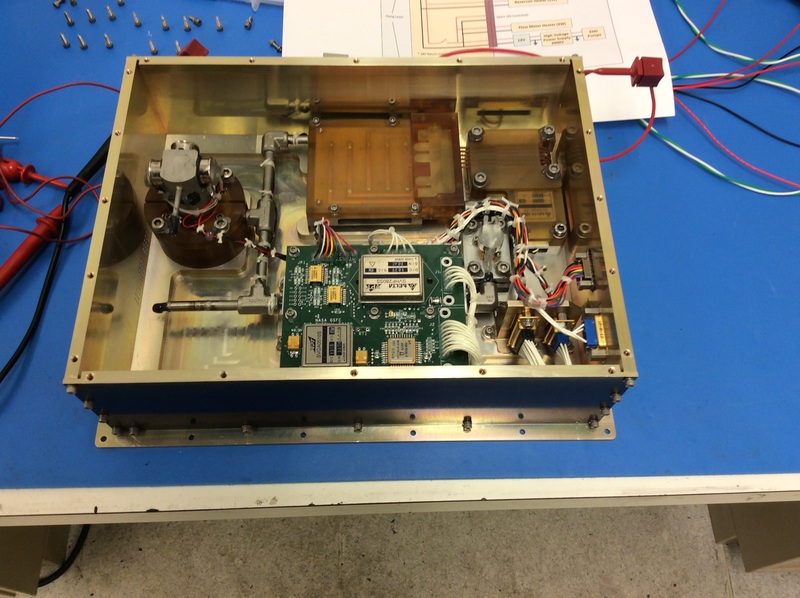 The STP-H5-Radiation Hardened Electronic Memory Experiment (STP-H5 RHEME) deploys a study of how frequently electronic memory experiences a glitch after being struck by high-energy particles in space. It consists two types of SRAM (static random access memory) devices – four 16 Mbit devices and a 72Mbit device comprising four 18MBit slices, both types were designed by Silicon Space Technology, Inc. for space applications. The SRAM devices can enable an EDAC (error detection and correction) function and the 16MBit devices have an optional scrubbing option while the 18Mbit devices can support automatic read and write back. These different functions will be used to evaluate the memory systems in a long-duration functional test in the challenging radiation environment of Low Earth Orbit. Both SRAM types have undergone extensive ground testing in a cyclotron to determine their performance as a function of LET (linear energy transfer) at different beam incidence angles. The terrestrial test results will be compared with those seen in orbit to assess the fidelity of the Earth-based test system. RHEME will evaluate different SRAM settings: a) without EDAC and scrubbing, b) with EDAC but no scrubbing, c) with EDAC and low rate scrubbing and d) with EDAC and high-rate scrubbing. EDAC allows for single error correction and double error detection, though its correction capability can be defeated if two or more bits in a memory word are corrupted in large radiation events. Scrubbing allows the entire SRAM to be repaired by reading, correcting and re-writing the memory, however, this process consumes on board resources (processing time and electrical power) and is therefore performed at the lowest possible rate needed to prevent error accumulation. A dosimeter installed in the RHEME module determines the radiation dose caused by protons and electrons, providing an independent measures of the proton environment that will permit the separation of proton-induced memory upsets from galactic cosmic ray upsets. Heavy ion strikes are also of interest since they have the highest potential of causing multi-bit upsets. RHEME will interrogate the SRAMs once per hour about any upset that may have occurred, generating a relatively low data rate from the instrument and dosimeter. Raven is an advanced real-time spacecraft navigation system possessing state of the art sensors and the intelligence needed to autonomously acquire a target and steer toward it in a safe fashion. Future satellite servicing missions need to be able to fly up to a target spacecraft, circle around it and find a location to grasp onto it. Because of time delays, this process needs to be fully autonomous with sensors and computers to guide the servicing craft safely to the right location. Autonomous navigation is one of the critical requirements for future robotic satellite servicing and the International Space Station with its frequent vehicle arrivals/departures offers an ideal testing environment for future in-space navigation systems. The Raven test package will monitor a number of vehicle trajectories to and from ISS with other sensors on ISS and the spacecraft providing outside verification of the relative trajectories to permit an assessment of the Raven sensors. 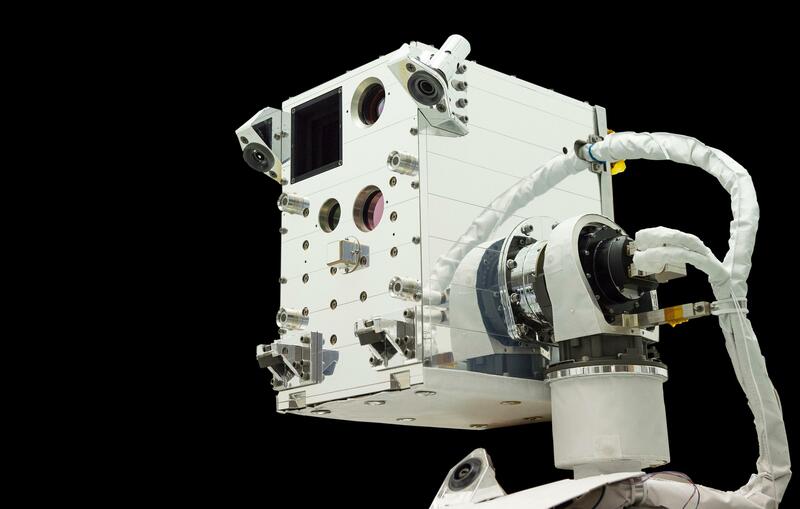 Raven is a project of the Satellite Servicing Capabilities Office that also operated the Robotic Refueling Mission (RRM) active on ISS for several phases completed in a multi-year effort. 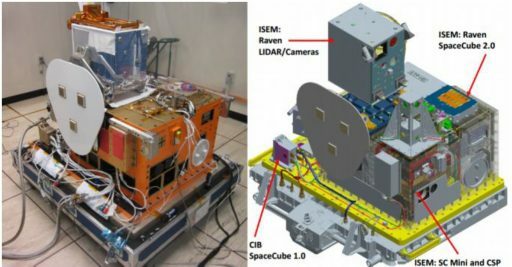 The overall objective of Raven is to demonstrate that a single suite of sensors, avionics, and algorithms can navigate a spacecraft to cooperative targets. 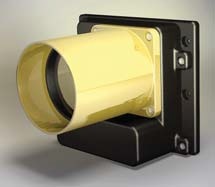 Raven comprises three main sensors: the Vision Navigation System or VNS – an infrared LIDAR that can image the target & obtain its shape, an infrared camera that also captures the shape and attitude of the target, and a Relative Navigation Sensor RNS that uses a visible light imaging system with zoom and focus functions. 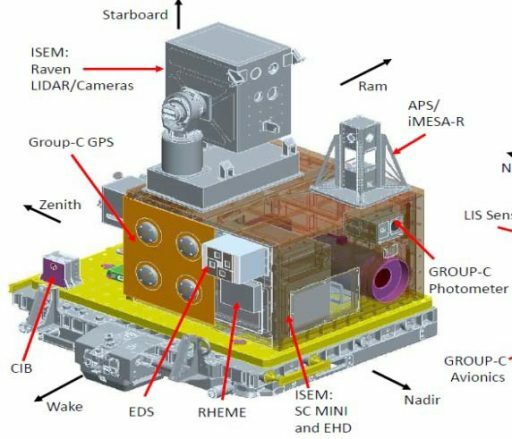 All three sensors, plus an Inertial Measurement Unit providing auxiliary data, reside within the Raven Sensor Enclosure (RSE) that is moved in pan and tilt by a two-axis motor system to be able to continuously track an incoming spacecraft. Raven’s main computer is a SpaceCube 2.0 with three Virtex 5 FPGAs that are in charge of computing the sensor inputs into a vehicle trajectory solution. VNS is a eye-safe flash LiDAR (Light Detection and Ranging) that generates a three dimensional image of the target by bouncing an infrared laser off of it. Weighing in at around 13 Kilograms, VNS hosts a 1570-nanometer laser operating at a maximum power of 30 Watts. 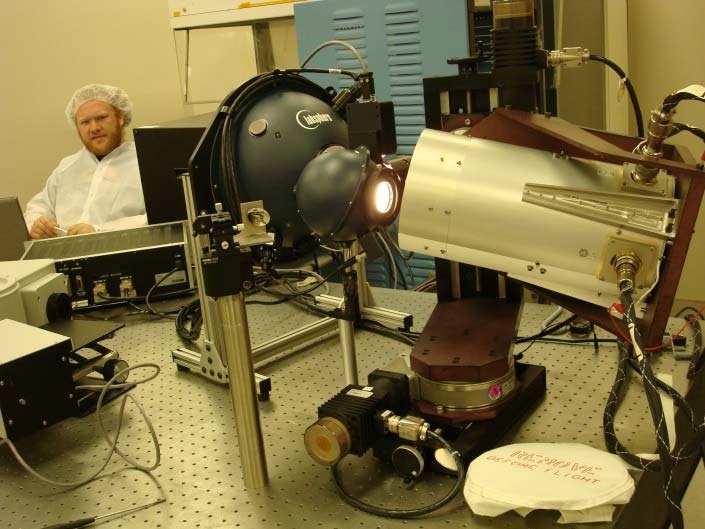 The reflected laser light is imaged on a 256 by 256-pixel detector array using an adaptive optical system that can support a field of view of 12 or 20 degrees. Images are acquired and output in real time at a 30Hz rate. VNS typically acquires a target from a distance of five Kilometers in 3D mode and switches to a six-degree of freedom mode for the close rendezvous from around 15 meters to capture. The SpaceIR Camera can image a target regardless of lighting conditions from distances over 40 Kilometers, delivering information on the range and bearing of a chaser vehicle from the far-field rendezvous to extremely close distance. The camera is extremely lightweight and only measures 10.5 x 11.8 x 8.3 centimeters in size (with standard lens). 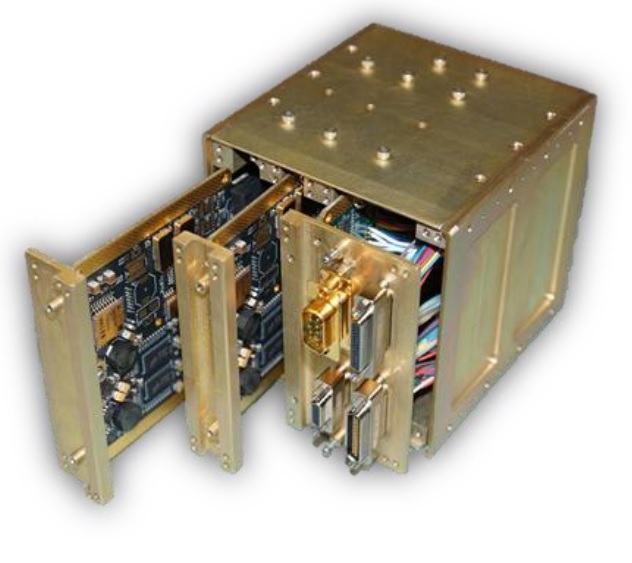 SpaceIR hosts an infrared detector array sensitive in the 8 to 14-micrometer wavelength range. The camera delivers 640 by 480-pixel imagery at variable frame rates up to video quality. RNS is a fixed-aperture, fixed-pointing camera with 1000 x 1000-pixel monochromatic detectors, 10-bit image depth and an output rate of 3Hz. All of Raven’s sensors have previous flight experience – a three-camera version of RNS flew on the final Hubble Servicing Mission by the Space Shuttle, VNS was flown as part of the STORRM technology demonstrator on the STS-134 mission and SpaceIR flew as part of Neptec’s TriDar on STS-128, 131 and 135. The sensors are supported by a high-performance, reprogrammable avionics suite that is in charge of processing data from the vision sensors and gathering experimental navigation data that is analyzed based on actual trajectory data from the rendezvous sensors of the actual spacecraft. STP-H5 LITES is the Limb-Imaging Ionospheric and Thermospheric Extreme-Ultraviolet Spectrograph, an instrument dedicated to studying Earth’s ionosphere, a highly complex and dynamic region of the upper atmosphere in which charged particles from the sun form plasmas and airglow, responsible for space weather phenomena that can affect the operation of satellites and radio communications. LITES sets out to study the intensity of ionospheric airglow to help understand the ionosphere’s density and improve models for space weather prediction. LITES hosts an extreme UV spectrograph to measure vertical profiles of ions and neutrals and nighttime total electron content for a tomographic reconstruction of the ionosphere. The instrument captures EUV radiation from 60 to 140 nanometers at a spectral resolution better than 1.7 nanometers. This passband includes emission features of Oxygen ions at 61.7 and 83.4 nm (daytime) and atomic oxygen at 91.1 and 135.6nm (night). Measurements are obtained by vertically scanning Earth’s limb to create vertical profiles with information on the density of the corresponding species as a function of altitude. LITES employs a toroidal grating to deliver images of the airglow in vertical direction while recording spectra of the entire 10-degree scene in the horizontal direction. 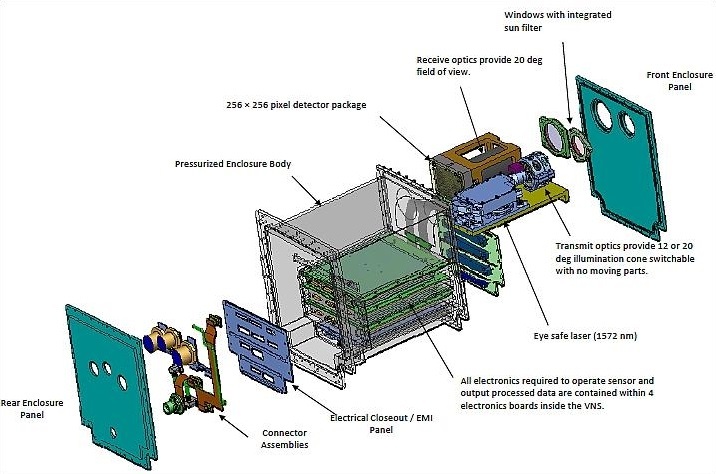 GROUP-C is a space weather payload operated in close conjunction with LITES to form a UV and Radio Ionospheric Observation suite operated from the International Space Station. Together, the two will deliver tomographic measurements of the ionosphere at a 20-Kilometer vertical and horizontal resolution. GROUP-C stands for ‘GPS Radio Occultation and Ultraviolet Photometry Co-located’ and employs a pair of sensors to measure electron and ion densities in the ionosphere. The GROUP-C UV photometer is employed on the nightside of Earth to characterize horizontal ionosphere gradients/irregularities. Known as the Tiny Ionospheric Photometer (TIP), the instrument employs a SrF2 window that eliminates an oxygen emission line at 130.4nm and passes the 135.6nm O+ line without attenuation, viewing the nadir direction with a 3.8-degree field of view to capture horizontal bubbles in the ionosphere located below the Space Station. TIP is joined by the Fast Orbital TEC, Observables and Navigation instrument (FOTON) comprising a GPS antenna module and an electronics unit that fits into a 1U CubeSat volume. FOTON makes use of L1 (1575MHz) and L2c (1227MHz) occultation measurements – that is tracking the two signals from a GPS satellite as the Earth’s atmosphere moves into the line of sight between the instrument and GPS satellite. Analysis of the signal alteration by Earth’s atmosphere can yield a number of atmospheric properties including Total Electron Content which enables GROUP-C to monitor vertical variations of electron density. Hosted on the STP-H5 pallet is an experimental Fabry Perot Spectrometer for Methane (FPS) to demonstrate a small, low-cost sensor for the measurement of atmospheric methane, a primary driver of the greenhouse effect. Understanding the sources of natural and human-caused methane is an important aspect of climate research and miniaturization of a precise methane sensor could permit a number of observatories to be deployed at low-cost to monitor global methane variation and quantify the release of methane from thawing permafrost. A Fabry-Pérot-Etalon is comprised of an optical resonator consisting of a single plate with two parallel reflecting surfaces. Light passing into the instrument can only pass through the system when its wavelength corresponds to the resonances of the etalon that creates a narrow-band spectrum on the focal plane that is precisely tuned to the desired wavelengths in order to create a high-resolution spectrum of the 1,642-1,643nm region. The major advantage of the Fabry Perot design is its high throughput which enables the instrument to operate at very short integration times to achieve a high spatial resolution. FPS measures methane at fine scale to help in the identification of sources and sinks of atmospheric methane. Although the background abundance of methane has been well documented over recent years and gross sinks / sources are also well known, there is a gap in knowledge regarding regional distribution and magnitude of individual sources as well as underlying processes. FPS is hoped to demonstrate a design suitable for a large number of space missions to achieve global coverage of high-resolution measurements in order to answer open questions on methane sources. iMESA-R is the reflight mission of the Space Test Program-integrated Miniaturized Electrostatic Analyzer – a space weather system comprising four low-cost instruments to measure plasma densities and energies to improve forecast models for the ionosphere and spacecraft charging effects. The instrument suite focuses on ionospheric irregulareties known as bubbles that can result in atmospheric turbulence and loss of GPS signal lock and interruptions in communications. Particular focus is on determining the origin and impact of plasma irregularities surrounding an orbital spacecraft. iMESA allows one small sensor suite to perform an array of plasma measurements, covering low-energy and high-energy electrons, protons, and heavy ions; magnetic field; and electric field. The Innovative Coatings Experiment flying on the STP-H5 mission is a space exposure study that examines the degradation experienced by a variety of materials over a two-year space mission. It is a well known fact that the harsh radiation and extreme temperatures experienced in Low Earth Orbit can corrode the paint and coatings of spacecraft and cause optical components to degrade over time. 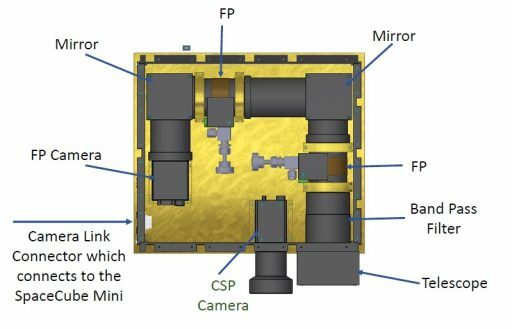 A series of coatings were specifically developed to improve the thermal spacecraft design, robotic camera recognition and contamination control for an overall improvement of future satellite missions. These coatings are tested on the ground using UV radiation, atomic oxygen and vacuum exposure, however, these ground-based tests may not accurately simulate the environment in orbit and a space exposure study is the most cost effective way of examining the long-duration effects of the space environment. The ICE experiment exposes eight new and two reference coatings to the LEO environment for a two-year mission. Visual and photographic observation will be used to evaluate the optical and color stability of the coatings relative to the reference standards. Coatings that are part of ICE include new ‘whiter’ radiator coatings for optimized operation, electrically-dissipative coatings, color coatings for robotic recognition of docking ports, molecular absorber coatings developed to protect optical components by absorbing contaminants, and super-hydrophobic coatings for surface contamination protection. Imagery of the ICE samples will be obtained at a two-week to one-month cadence. The STP-H5 Automated Plume Sentry (STP-H5 APS) investigation examines how thrusters on spacecraft in close proximity to the Space Station interact with the complex and whether they can contaminate experiments installed on the Station’s exterior. APS takes advantage of charge exchange plasma interactions of the neutral effluents from approaching spacecraft which will allow the flux of particles striking the ISS structure to be calculated. Results from the study will provide guidance on efforts that might be needed to shield sensitive equipment from thruster exhaust. Additionally, APS will be able to map significant natural events in the ambient LEO environment, providing valuable data on satellite surface charging. 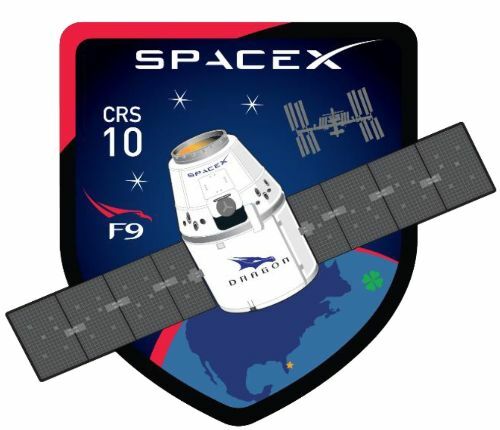 Copyright © 2019 Dragon SpX-10 | Spaceflight101. All rights reserved.